Fact Check: Does the First CCA in San Diego County Use Any Taxpayer Money? Statement: The first government-run power agency in San Diego County “will be self-funded and does not use any tax dollars,” according to the agency, the Solana Energy Alliance. Analysis: Solana Beach is the first local government in San Diego County to form its own agency to buy and sell electricity. These agencies, known as community choice aggregators, or CCAs, are sprouting up all over California. Solana Beach’s agency, known as Solana Energy Alliance, is set to start delivering power on June 1. Within the next decade, city-run agencies like Solana Beach’s could be responsible for most of the power sold in California. The city of San Diego is also thinking about forming one, despite powerful opposition from San Diego Gas & Electric’s parent company, Sempra Energy. Supporters say community choice is a way for local governments to take control of their energy future, instead of relying on shareholder-owned monopolies, like SDG&E. Opponents argue that cities may be getting in over their heads and could put taxpayers at risk if something goes wrong. So far, no community choice agency has gone belly-up, though the oldest of them has been around less than a decade. Still, because Solana Beach is offering a new government service and its experience could be a test case for how it works out in San Diego, it’s important for taxpayers to understand the risks, if any. That makes it hard to understand why, at Wednesday night’s Solana Beach City Council meeting, the Council approved a $117,000 “loan” to the Alliance. It’s also hard to understand why the city says in the future it may help finance energy projects for the Alliance. City Manager Greg Wade said it took some staff time and city money to help set up the Alliance, which has a legal structure similar to the city of San Diego’s water department – a part of city government, but also a bit apart from it. The “loan” is a legal mechanism for the Alliance to repay Solana Beach for those expenses once the agency begins selling power and customers begin paying their power bills. In Wade’s view, the city has been open about expenses and has discussed them in City Council meetings. “We were always up front about all of this,” he said. In Wade’s view, because any expenses will be paid back, there’s no tax money at risk. In the future, revenue from electric sales will pay a portion of his salary because of the time he’ll spend working on energy issues. Even though the Alliance is a nonprofit, it will still “make money” because it will sell power for more than it costs to buy it. That will help pay consultants and overhead. In the budget for its first full year of operations, the city expects the Alliance to bring in about $5.3 million. The Alliance will spend about $4.5 million of that. The biggest single expense is buying power. That’ll cost $3.6 million. The city expects its power will be about 3 percent cheaper than SDG&E’s power. The second biggest expense is setting up an $850,000 safety net in case something goes wrong. Even if all hell breaks loose, Wade said that is the only money that is at risk. All of that money will come from customers paying their bills; none of it is taxpayer money. The third biggest expense is $613,000 to pay the consultants who will do most of the work. City staff won’t actually be running the Alliance on a daily basis, though they will oversee the agency. For now, the power-buying decisions will be made by The Energy Authority, a Florida-based nonprofit. Calpine Energy Solutions, a subsidiary of a Houston-based energy giant, will provide customer support and other backend functions. Again, all of this money will also come from selling power. 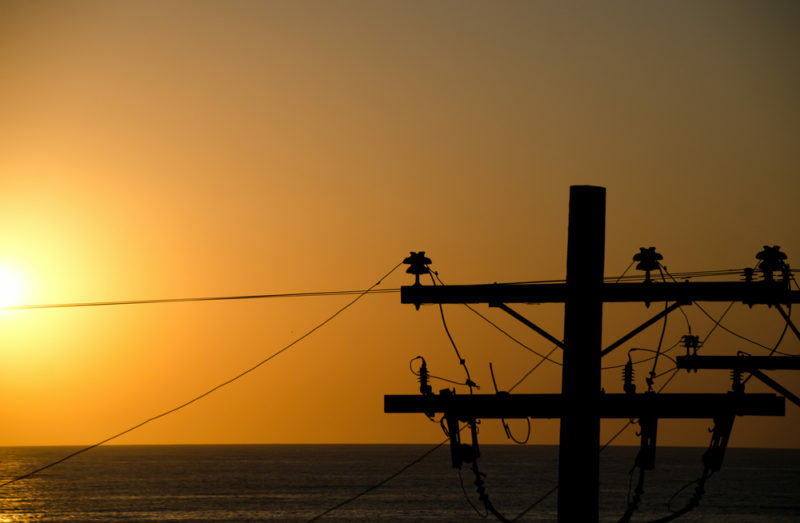 CCA supporters have praised the way Solana Beach has been working with The Energy Authority. The city deferred any consultants’ fees until after the Alliance started selling power so that The Energy Authority’s payments would come from power sales rather than the city’s general fund. This had the effect of insulating taxpayers from risk. That seems smart, and is evidence that the city is truly taking pains to avoid leaving taxpayers on the hook for anything. That said, the city still invested time and some money into setting up the Alliance. Even if it gets all that money back, it doesn’t change that taxpayers were on the hook, if only temporarily. The city has a good explanation for this loan – including the argument that it isn’t really a “loan” in the way we think of a bank loan – but none of that changes that the city is putting taxpayer resources into the agency. Presumably, the Alliance would then cover the city’s costs through customer bills. But, again, this leaves open the possibility that taxpayers are on the hook for something. Though some people are philosophically opposed to the idea of government running utilities, there’s nothing inherently wrong with it or even new about it – the city of Los Angeles has run its own electric utility for a century. But, by its very nature, when the government is involved in something, taxpayers can be at risk. In this case, Solana Beach seems to have, by and large, insulated taxpayers from risk. The Alliance’s categorical denial that it uses no tax money is a stretch.